The chain is offering up yet another way to score free food ahead of its annual Boorito giveaway. Chipotle has been trying to win back customers with free offerings and a new rewards program, but the chain's latest attempt may appeal to a slightly younger burrito-eating demographic. Love "Fortnite"? Then try playing Chipotle's Burrito Royale sweepstakes. Sound familiar? The contest is a spinoff of the trendy video game "Fortnite: Battle Royale" that's been storming kids' computers and conversations since spring. The sweepstakes, which started Thursday, runs through Saturday on social media. The grand prize? A chance to play "Fortnite" with famed video game professional player Daequan, a year's worth of free burritos (that's 52 free entrees) and some sweet "Fortnite" swag. To enter, Chipotle fans ages 13 and older just need to like and retweet the post on Daequan's Twitter account. Five winners, notified by a private or direct message on Twitter, will be chosen at random on Sunday. The four runner ups will receive a free Chipotle dinner for 10 and more "Fortnite" gear. From testing a new digital rewards program to offering free guac on National Avocado Day (even if the promo kind of failed), Chipotle is definitely still out to win over hearts ... through stomachs. The Mexican Grill has also been trying to stay relevant with marketing stunts and new menu items, like when it gave away a briefcase with enough coupons for a lifetime supply of chips and guac to rapper and new mom Cardi B. These promotions are actually part of the brand's larger plan. 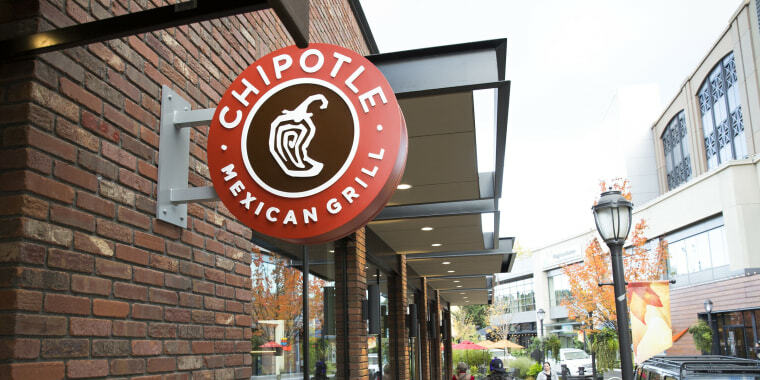 According to chief marketing officer Chris Brandt, Chipotle is "partnering up with"relevant brands" to show that it's more than just a restaurant, but also a lifestyle brand. And what better way to get the attention of burrito-loving, video game-players than with a sweepstakes with TSM, the e-sports organization responsible for "Fortnite"? On Twitter, there's already big buzz over the contest, with plenty of people excited about the chance to play with the one and only Daequan. One tweeter wrote that just one game with "Dae" would make life complete. Another said that playing "Fortnite" with Daequan (plus, some burritos) is all one could ever want in life. We can't wait to see what new freebies Chipotle grills up next.